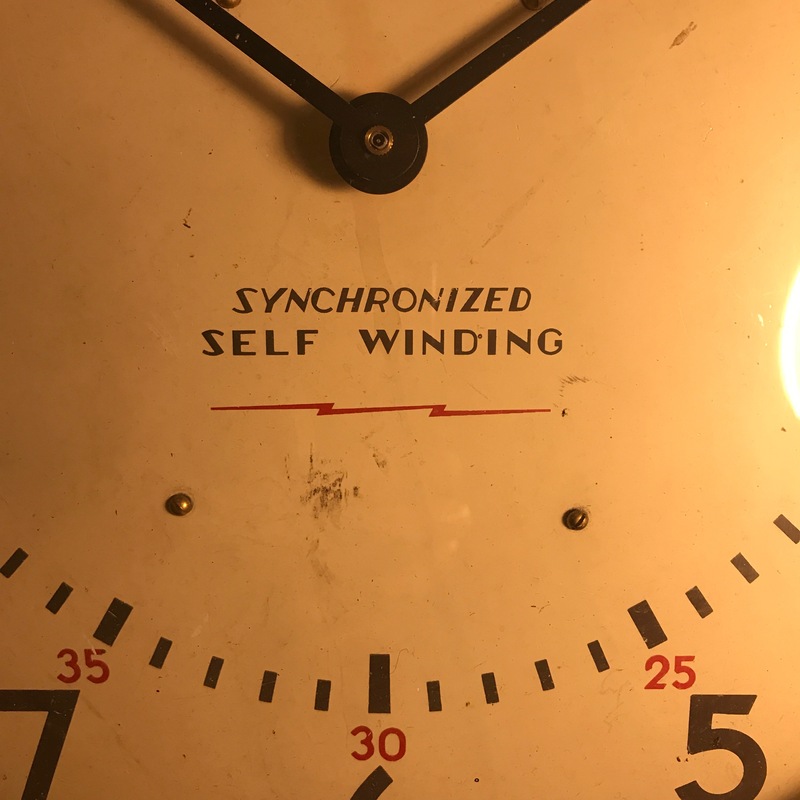 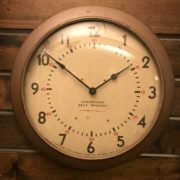 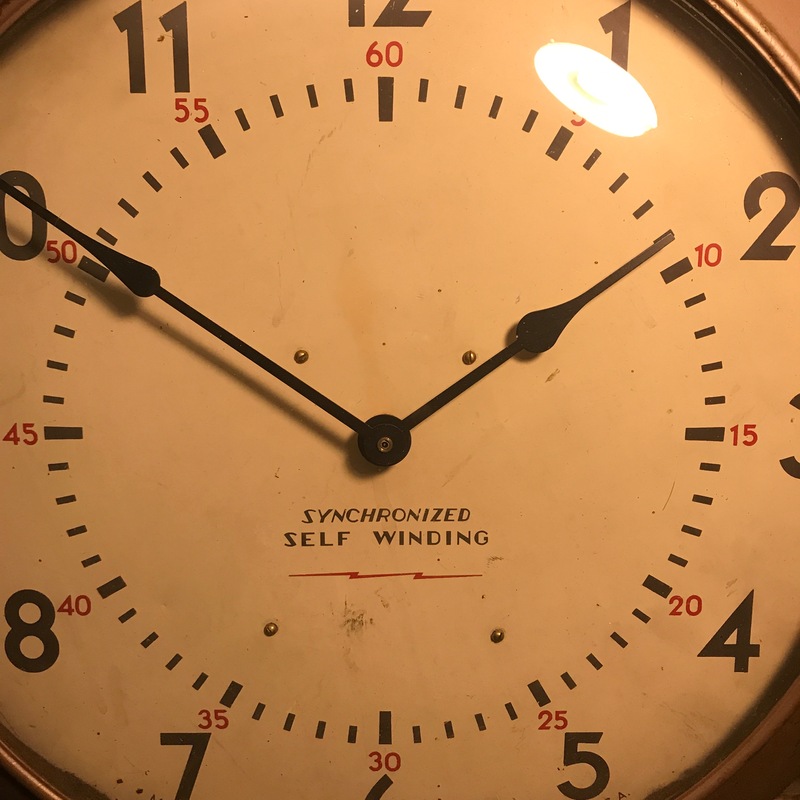 History: Produced by the Self Winding Clock Company, these were among the first battery operated clocks made in the United States in New York City. 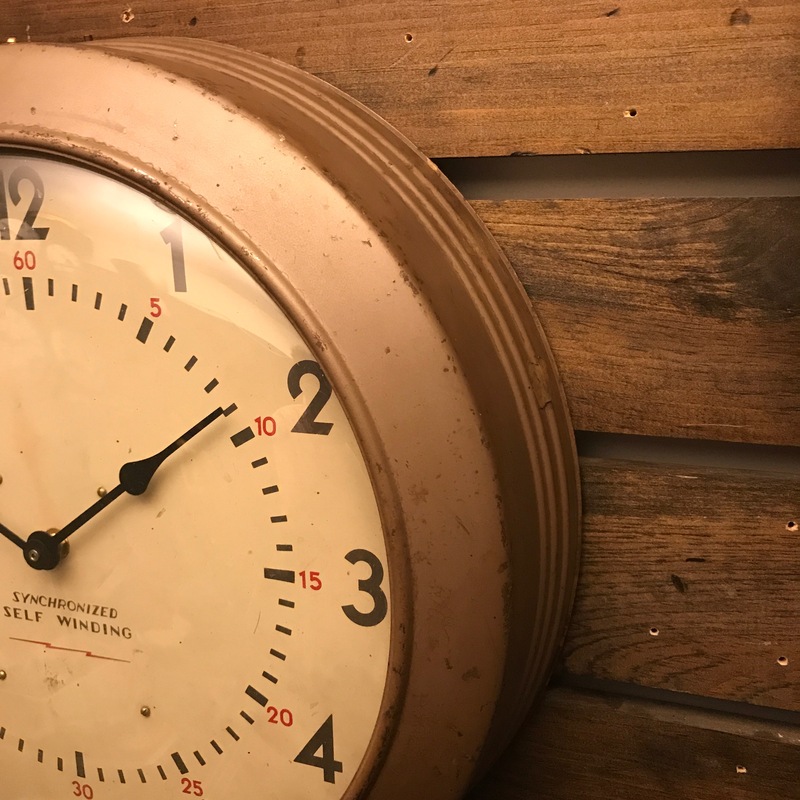 Style: The clock has black spade hands, black hour numerals and red minute numerals with the iconic lightning bolt insignia. This clock would have been commonly used in a factory, train station or lobby. The metal case is a brownish gray and would look great in an office, bar, or general area. Movement: It has been customized to a quartz C battery powered movement.